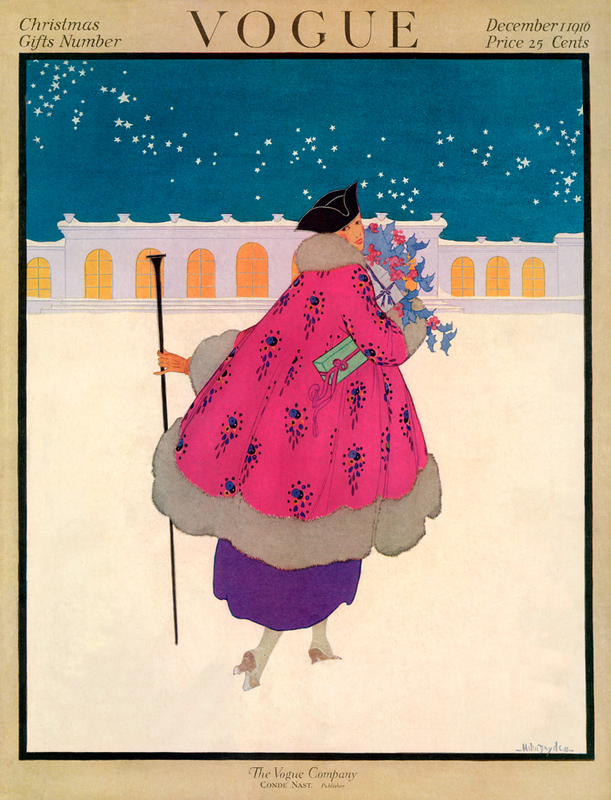 Vogue was founded in 1892 by Arthur Turnure and in 1905 the publication created to celebrate the "ceremonial side of life" was purchased by Condé Nast. The 1910s - 1930s illustrated covers were works of art. 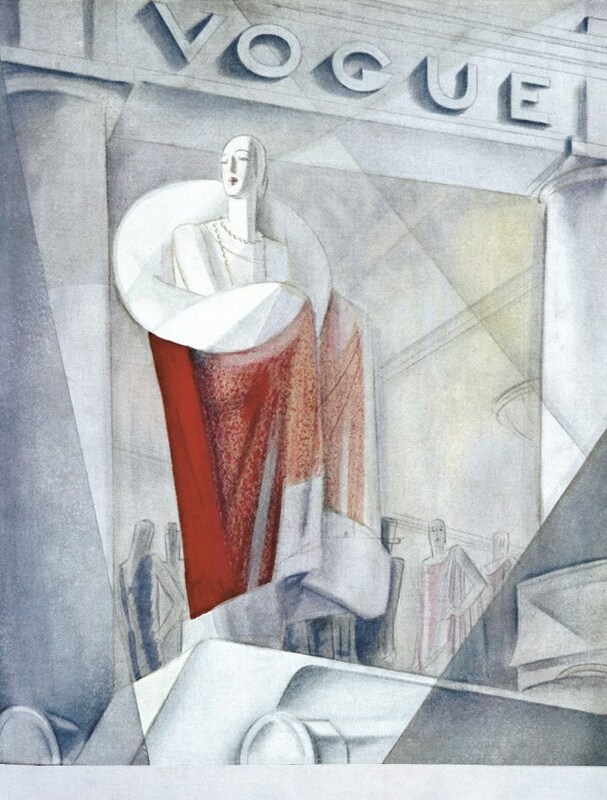 Helen Dryden, Georges Lepap (both of which are well represented in the collection below), Harriett Maserol, George Plank and Eduardo Benito created beautiful, striking illustrations for Vogue's covers. 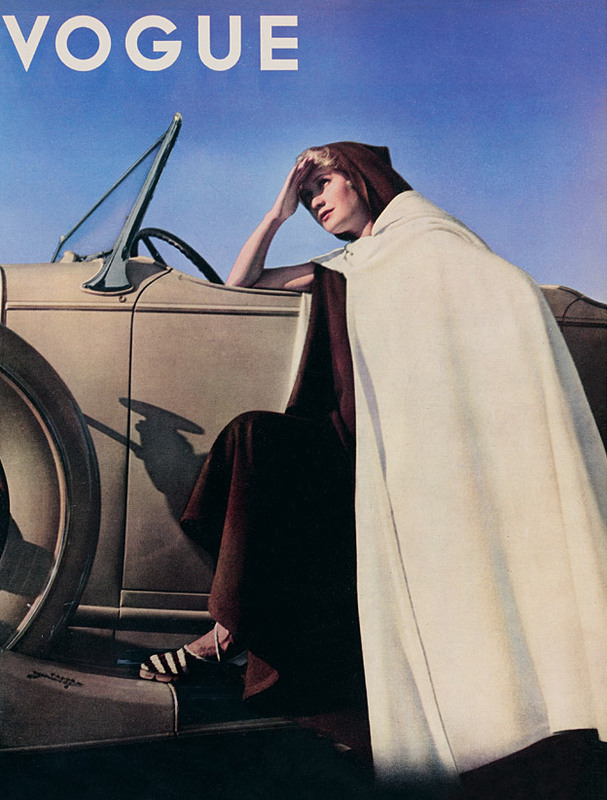 Even when Vogue started using photographs for their covers, they alternated between illustrations and photographs. 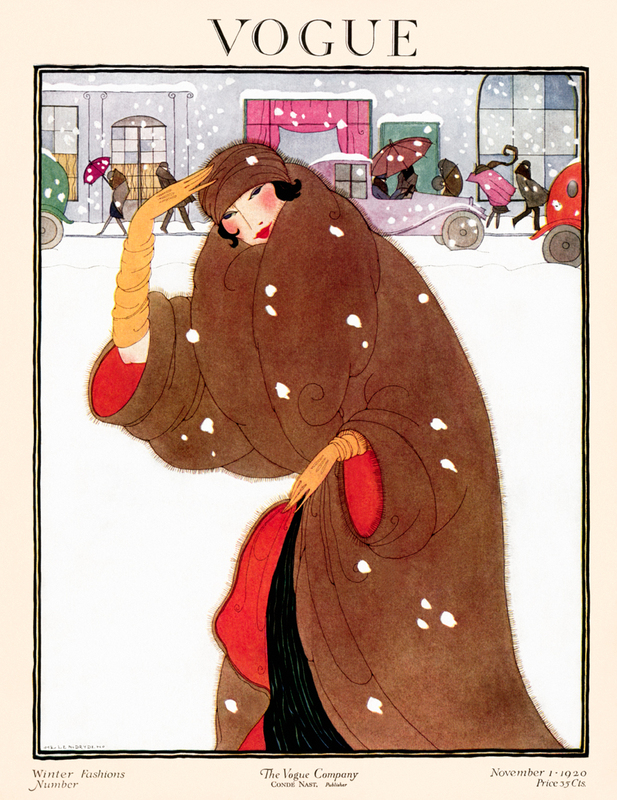 Today, since it is currently -8 where I live in Wisconsin and the landscape is covered with fresh snow, I present to you winter fashion covers from those years. I hope they will inspire you to embrace winter in all its beauty. 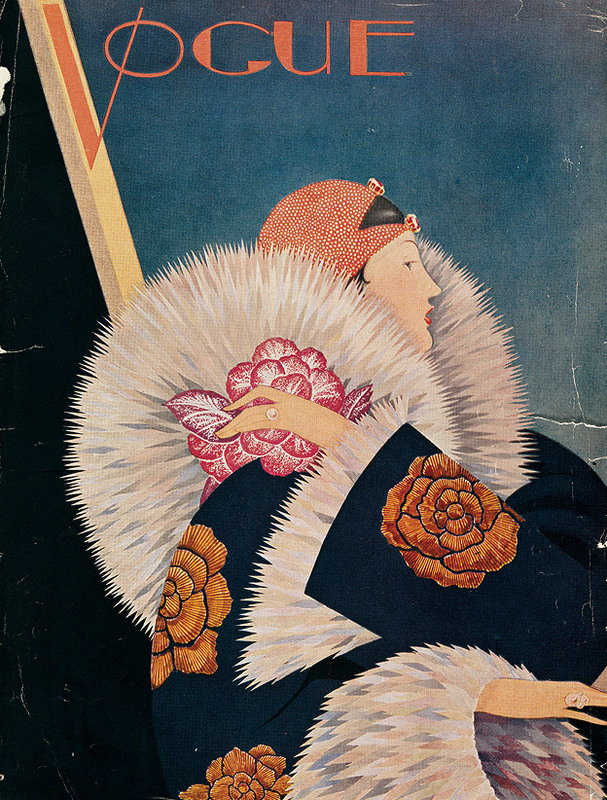 If you are interested in viewing more covers from this time period, I suggest either The Art of "Vogue" Covers by William Packer or you can peruse the Vogue UK online archive, which has covers dating back to 1916. If you click on any images below it will take you to their source page. I do not own any of the images - they are the property of Condé Nast and I present them for purely educational and aesthetic purposes.